Often overshadowed in the past by its Iberian neighbor, Portugal produces a wonderful of array of wines, from vinho verde to Madeira and Port. Based in southern Portugal’s Alentejo region, Esporão is dedicated to protecting Portugal's unique native grapes and studying the effects of climate change.The estate also encourages biodiversity, maintaining 2,500 acres of forest where animals graze freely and creating a program to attract bats as a means of pest management. The Autonomous Region of Madeira, an archipelago off the coast of Portugal, is synonymous with its wine. Vinho Madeira, a website run by The Wine, Embroidery and Handicraft Institute of Madeira, (Instituto do Vinho, do Bordado e do Artesanato da Madeira, P. I. - IVBAM), provides a host of resources related to the region's wine production, including its grape varieties: Sercial, Verdelho, Boal, Malvasia and Tinta Negra. Launched in 2010, Wines of Portugal provides official information about Portuguese wines, grape varieties, wine regions, news and events. 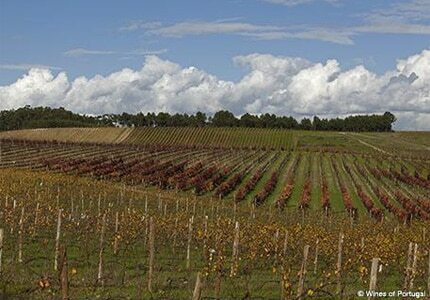 Wines of Vinho Verde is the trade and marketing bureau for the Vinho Verde wine region in Northwest Portugal.